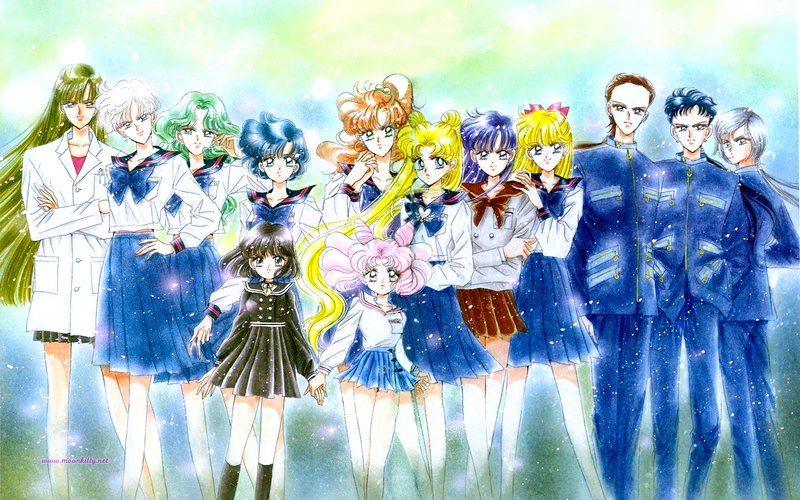 I love images that mix Sailor Moon with the real world city. Wish there were more scenes like this in the anime and manga. Sure you've seen this image. 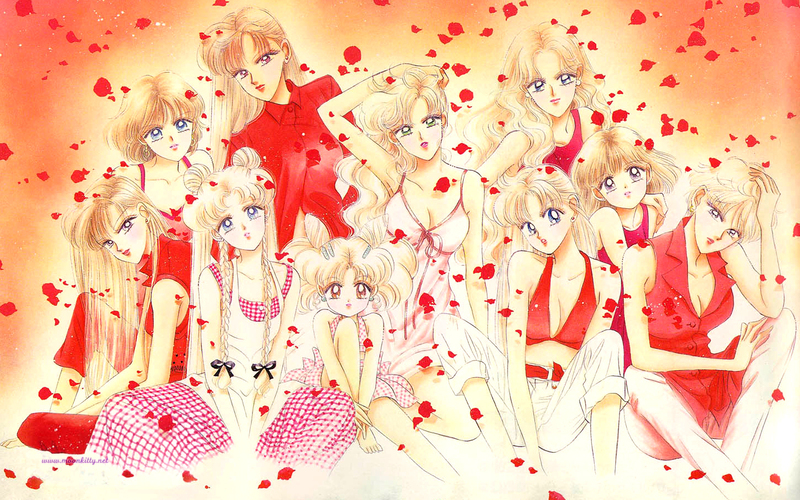 A classic one that features most of the Sailors from the manga in their civilian forms. Enjoy. 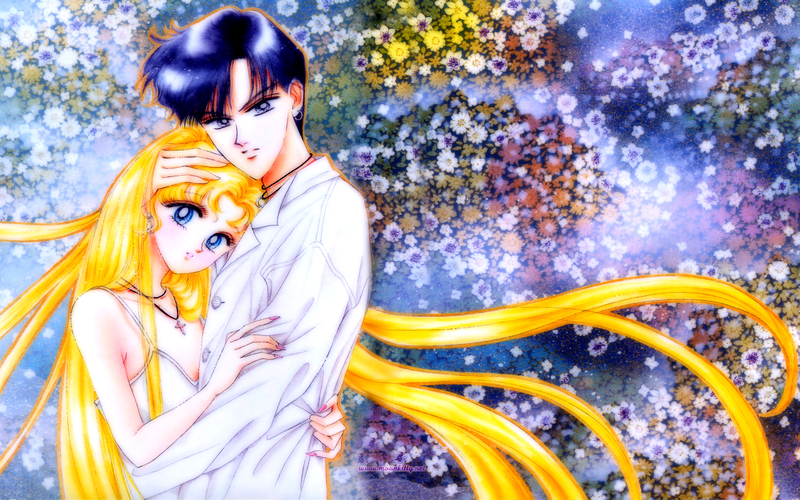 I remember reading somewhere that this was based off of a real famous painting. Whatever the case may be it looks really fresh and funky. Definitely livens up a desktop. 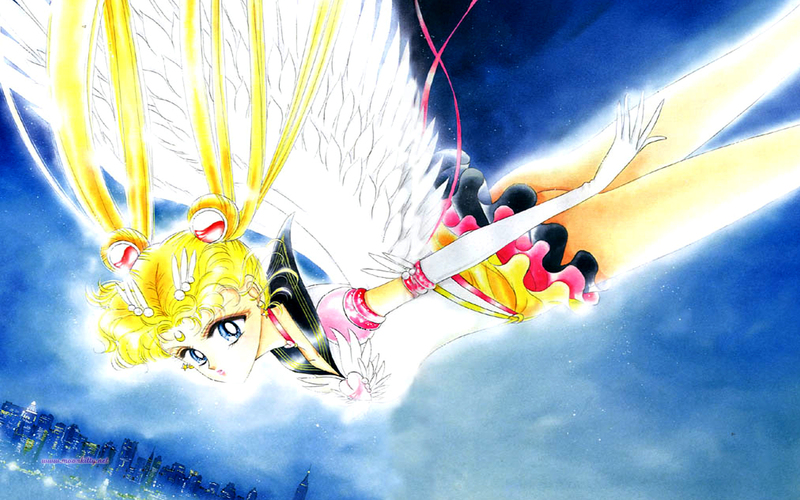 Another example of artwork featuring the characters after the manga storyline finished. 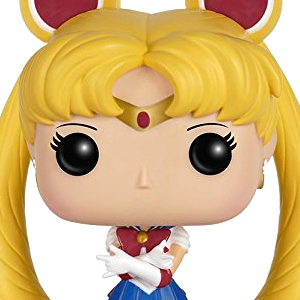 Check out Small Lady grown up, and a very Sailor Cosmos-y looking Eternal Sailor Moon (notice her staff and wing ring she shares with Chibi Chibi [Cosmos]). 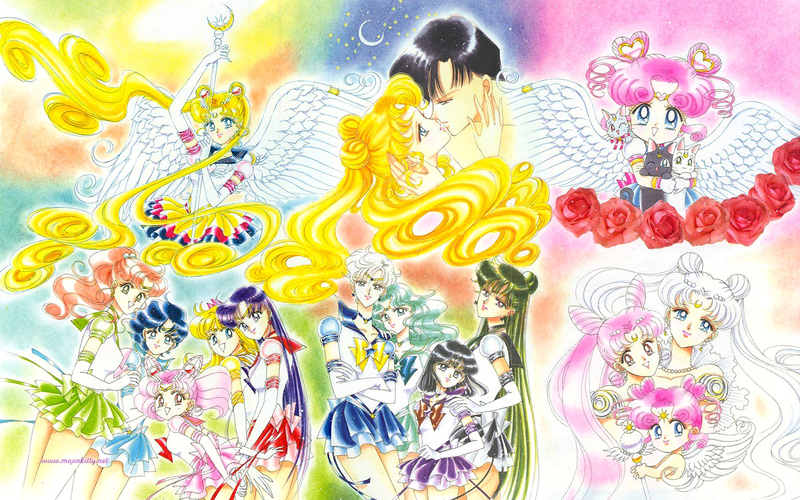 Another popular image featuring the characters in a "real world" style. Notice their brown hair colours. Love this image and now have it as my wallpaper. Great image in every way (and I'm not really into romance! ).